The 2017 Capture Speaker Series, featuring talks by Alex Morrison, Ema Peter, Alinka Echeverría, and Shep Steiner, dove into a multitude of topics surrounding photography, from the photographic archive, to photography’s relationship with architecture, to a re-evaluation of Camera Lucida. 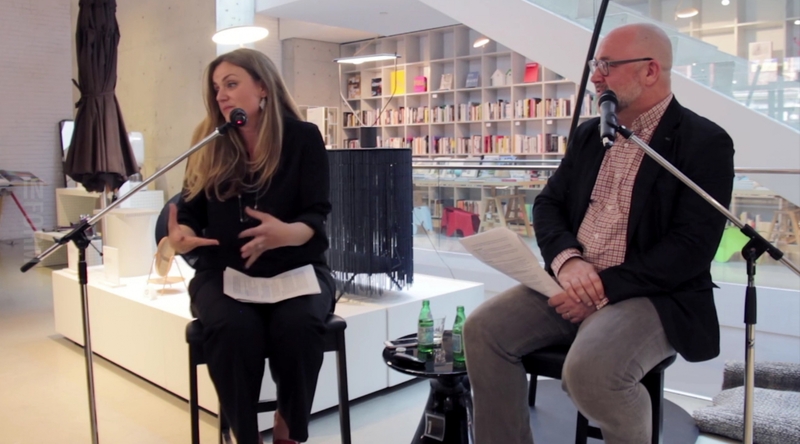 This year, our host and partner Inform Interiors filmed and produced video documentation of three of the 2017 talks, so you can revisit the brilliant discussions that transpired each Tuesday of April 2017. Brussels-based Canadian artist Alex Morrison discusses Brand New Era Social Club (2017), his major public art commission on the facade of the Dal Grauer Substation on Burrard Street, and other aspects of his diverse practice, in conversation with photographer Christos Dikeakos. We mostly know famous architecture not through direct experience, but through images made by architectural photographers like Ema Peter. In conversation with Mark Busse of HCMA Architecture + Design, Peter discusses the constructed nature of architectural photos, the symbiotic relationship between buildings and photography, and how image capture affects design. She also shares technical insights and experiences from her award-winning career. Developed in partnership with IDS Vancouver. Art historian and critic Shep Steiner suggests that we need to re-evaluate popular understandings of Roland Barthes’s influential and much-quoted text Camera Lucida. He posits Barthes’s book has largely escaped capture by its best and closest interpreters because they have not fully comprehended the problem that photography poses for memory. In this lecture, Steiner explores Camera Lucida as an example of classical allegory that de es modernity’s prohibition against futurity. Through a close reading of the text, he weighs the photograph’s negative effect on memory against its life-affirming qualities and offers an updated interpretation of the punctum.